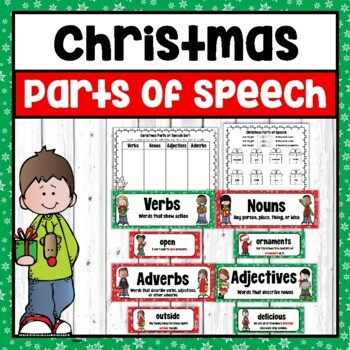 This fun activity is a great addition to your Christmas language arts lessons. 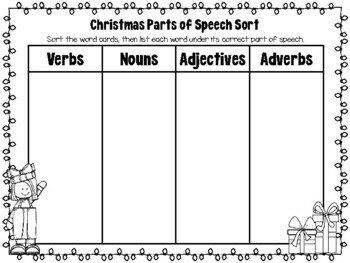 Included are 30 Christmas themed word cards to be sorted into Nouns, Verbs, and Adjectives. 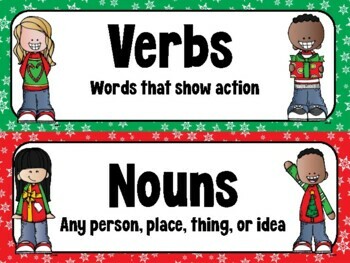 Students can also list the words on their worksheet as they sort. 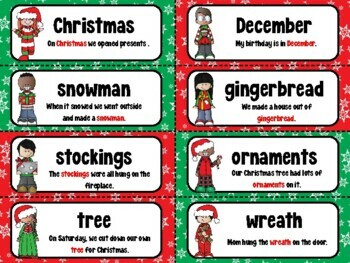 A teacher answer key is also included.